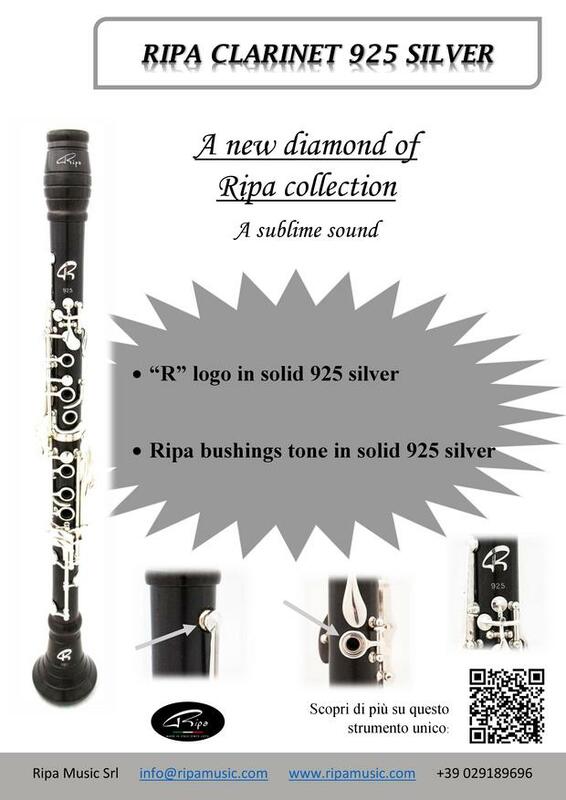 Ripa Music presents the two new clarinets from its collection. Two real jewels! 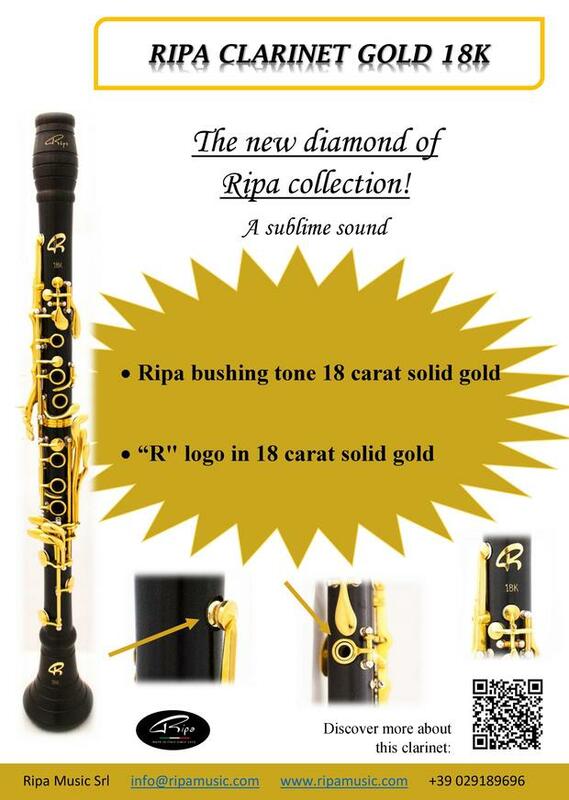 – Insert two new bushings (spout of the spokesperson and Sol’s bushing) in 18K solid gold: these guarantee a softer sound with a very high performance. – Insert two new bushings (spokesman bushing and Sol’s bushing) in 925 silver: a more pleasant sound and even higher precision.